Who Are We? What Is Yumaroo? 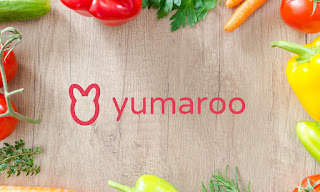 Simply said, Yumaroo is a platform that shows you meals nearby based on your dietary preferences. There are many different diets out there and while some people can eat most of what is offered on a menu, eating with friends, family, and colleagues that have dietary restrictions can be a challenge. Sometimes it takes more than an hour to find a place that has a meal for every person. Many platforms show restaurants when searching for diet friendly meals, instead of meals that are available. We have changed the game by bringing you a platform that shows you specific meals at restaurants that match the exact dietary preferences. 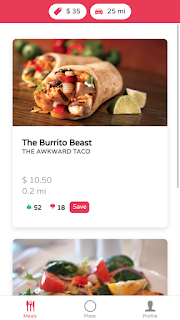 We show you all the meals based on your dietary preference, price, and location. It all started when the founder of Yumaroo, Dominic Nguyen, experienced the difficulty first hand. “While interning in a new city, I experienced firsthand the difficulty in eating out with those who had certain dietary restrictions. One of my fellow intern friends was a pescetarian and another was a vegetarian. It took us forever to find a place to eat! It was so bad that those in our friend group that didn't have a specific diet gave up searching for places because anything we would suggest didn't have enough variety or appetizing options for our friends with diets. And that was when I came up with the idea of curating restaurant meals based on diet restriction”. Learn more about our mission & the rest of the team here. Here's a screenshot of what consumers can see on our platform. We are constantly working to make our platform better so if you have any comments, questions, or feedback, we would love to hear it!